President Moon attended a service at a Buddhist temple on Tuesday to join in prayers for peace and stability on the Korean Peninsula. Speaking at the service he emphasized the Buddhist principle of ' Hwajaeng'.. meaning "mutual respect and harmonization." in pushing forward inter-Korean relations. The most urgent task ahead of us is the complete denuclearization of the Korean Peninsula, and that is a goal that should be accomplished peacefully. Let us pray in the ardent hope that the spirit of 'Hwajaeng' is realized and that conflict and division is eradicated." He added for sustainable peace, separated families should be able to meet each other and there should be free social, economic, cultural and religious interactions. 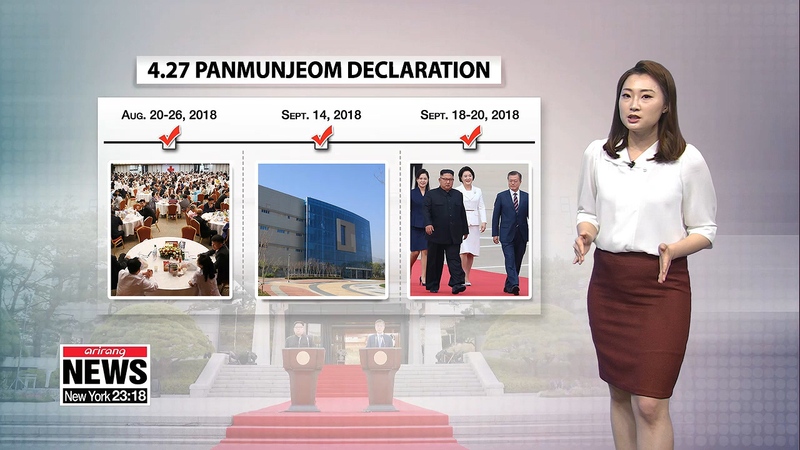 The liberal leader highlighted a great transformation in world history is set to take place also with the Washington-Pyongyang summit, and asked for the support of the nation and the Buddhist community.